Update: The CVS pharmacist has been fired. More info below. 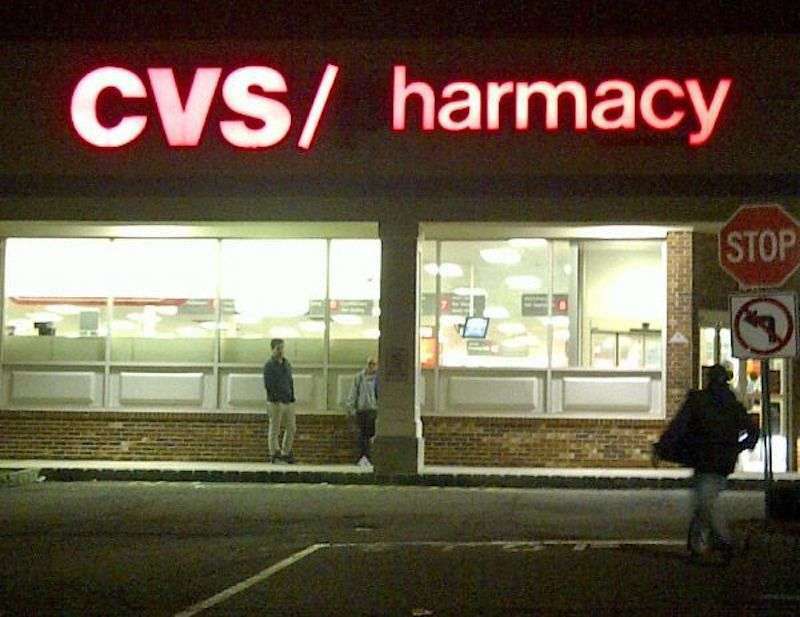 CVS drugstore is not having a good news week. You’ve undoubtedly heard about “Coupon Carl,” the (former) CVS manager who called the police on a black woman for trying to use a coupon. 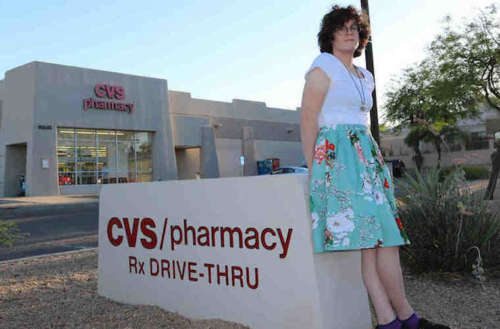 Now, a CVS pharmacist in Arizona has been revealed to have denied hormone therapy medication to a trans woman without even stating a reason. In a post for the American Civil Liberties Union (ACLU), Hilde Hall describes the excitement she felt when she was given her first prescriptions to begin hormone therapy. 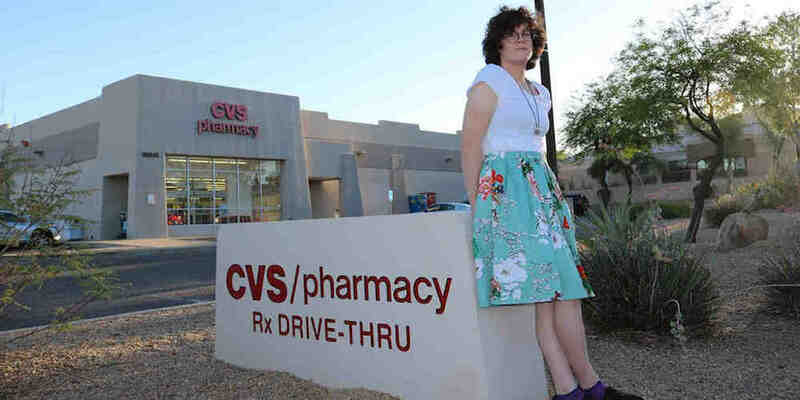 She says she went straight from the doctor to her local CVS in the Phoenix suburb of Fountain Hills. But when she gave her prescriptions to the pharmacist, he refused to fill one of them, without telling why she was being denied hormone therapy medication. According to Hall, instead of quietly asking for clarification — or, you know, just doing his job — he “kept asking, loudly and in front of other CVS staff and customers, why I was given the prescriptions.” Hall was so shaken at the prospect of being outed in front of so many strangers that she started crying in the store. She asked him for the prescriptions back, but he refused, so she couldn’t even go to a different pharmacy. She called her doctor’s office to explain what happened, but when the office called the CVS pharmacist, he still refused to either fill the prescription or share his reasoning. Perhaps this is a more accurate sign for the Fountain Hills CVS. Luckily, the doctor was able to call the prescription into the local Walgreens, which had no problem filling the prescriptions. Hall says she transferred all her prescriptions there so she’d not have to interact with the transphobic pharmacist again. Though Hall says she’s repeatedly tried to contact CVS’ corporate complaint line, no one from the company has helped or even offered an apology. This CVS pharmacist’s actions were shameful, and so is the CVS corporate lack of response. There is a (misguided) law in Arizona that allows pharmacists to refuse to fill prescriptions that don’t align with the pharmacist’s personal beliefs, however that law is specific to contraception and the “morning after” pill which can induce a miscarriage. CVS did the right thing and fired Coupon Carl. Will it do the right thing and fire Transphobic Tommy? Thankfully, the answer is yes. In a statement, CVS apologized to Hall, and said that the pharmacist had been fired. CVS blamed “an unintentional oversight” in not responding to her previously. Have you ever been denied hormone therapy medication, or any other sort of medicine by a pharmacist?